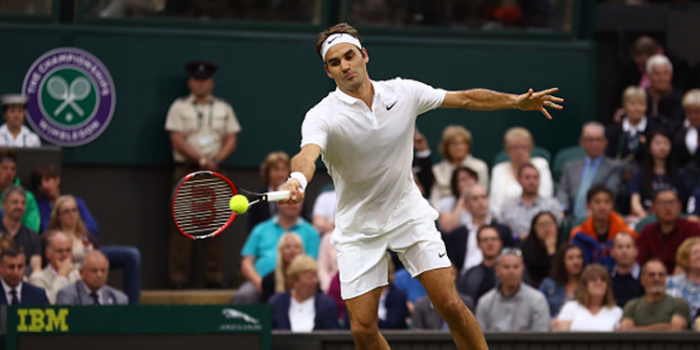 Reuters – Around half a million fans will attend this year's Wimbledon tennis championships. But that figure is dwarfed by the number talking about the on-court action on social media. Wimbledon and partner IBM are using artificial intelligence to keep their 10 million-strong digital audience engaged. "The opportunity you have to attract someone on social media is around six seconds," said Sam Seddon, IBM Client Executive for Wimbledon. "So understanding what they're interested in in that moment is really critical. When you've got 10 million social media followers, that's a huge amount of conversation going on. So the challenge is how do you analyse millions and millions of posts across Facebook, across Twitter, across Instagram, in that moment." Above ground, the famous grasscourt grand slam event is in full swing. But below ground is the nerve centre of IBM's Wimbledon operation. Here, their Watson cognitive computer sifts through mountains of data. Watson spots trends and emerging conversations from around the world, continiously learning and interpreting the data to get content producers ahead of the game. So if, say, Roger Federer pulls off a stunning shot – Watson might suggest linking tweets about this to other Swiss sports conversations to engage a wider audience. "It's able to analyse all of the unstructured information, learn from it, realise what is relating to Wimbledon, realise what is relating to sport in general, and then present that insight to the editorial teams so they can make decisions really quickly and get their content out there first," said Seddon. At end of play on day two of the championships, Watson had already analysed about 2.6 million posts on social media. By the end of the tournament on July 10 – IBM hopes it'll be game, set and match to Watson.